In any sport, kids are sometimes one of the most difficult and at the same time the easiest players to teach. Difficult because they can be impatient and can easily get frustrated. On the other hand they are on the stage where they are flexible both in mind and body. That is why it is important that in these early stages they are taught the fundamentals of basketball, but with a lot of diligence and patience they might just be your biggest success. Sometimes coaches forget to tell their players to not rush it. Most eager students want to take the fast lane and learn the tricks immediately. But as all things in life this is only good for the short run. If you really want to be good at something, invest time on it. Do it step by step to ensure maximum retention and in the end you’ll master what you need. Focus is good. But I’m talking about a different head here. Tell them to use their brain in basketball. If you really want to be good in basketball, do some research. Find stuff that could be useful to you as a player. Understanding the game better will help you become a better player. Watch some videos, read some articles and even go to live games and see what really happens on the court. This will eventually lead to you becoming a more knowledgeable player . Simply, basketball needs a lot of things to be done at one time. 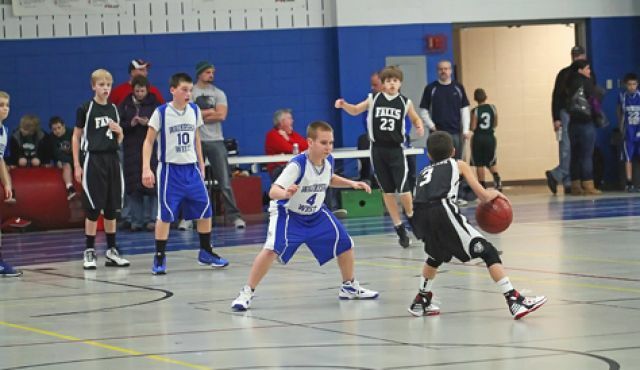 Teach them to dribble and think of strategies at the same time and be good at it. You’ll see that this will come in handy in real live games. As a coach do your part. Create drills that will ensure kids will love and be comfortable doing. Then practice them until they perfect it. Always remember that kids are a lot different than adults so there are a lot of things more to consider than just the game. If you do this, in time they will be the players you want them to be.